A couple of summers ago I came to a country house after dinner. It was a beautiful warm night and all the lights were off. We saw a weird glow behind the trees, from the distance. We knew there was an endless prairie. When we reached the edge of the forest, we saw what the glow was. A sea of light that extended all through the fields. It moved like the sea, with waves that came and go seemingly moved by the wind. 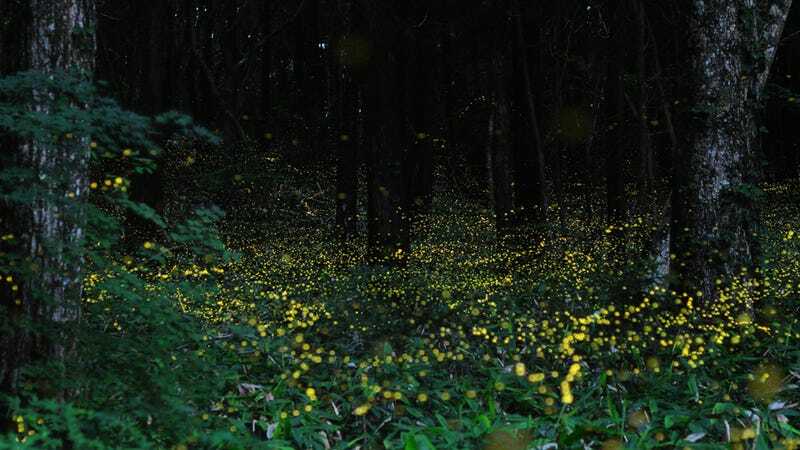 But it was fireflies. Dozens of thousands, moving in the quiet summer night. It was the most magical moment I've ever experienced in my life.